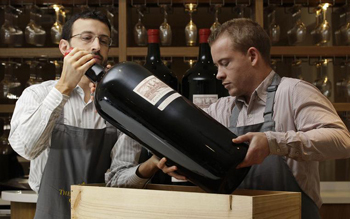 There are any number of aspects of wine enjoyment that can get confusing. The number of varietals, the thousands of producers in hundreds of regions, the right temperature and stemware to use, just to name a few. But one area that seems to stump just about everyone at one time or another is traveling with wine, especially internationally. The article at the link is from the Lazenne.com blog site. Lazenne is a manufacturer of wine travel gear, everything from padded sleeves to keep your wine from breaking open in your suitcase to, well, wine suitcases. Here is the link to their retail site: (LINK). “You’ll be pleasantly surprised that there are no TSA-regulated quantity limits for wine or alcohol in your checked (hold) baggage as long as it contains less than 24% alcohol. Those wanting to add a little spirits to the mix need to know that alcohol that contains over 24% alcohol is limited to 170 oz or 5 litres per person. Beverages that contain more than 70% alcohol are prohibited. 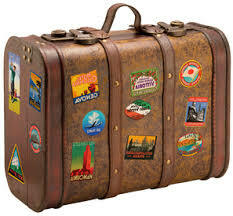 There is more there, so check it out if you are thinking about traveling with wine soon.